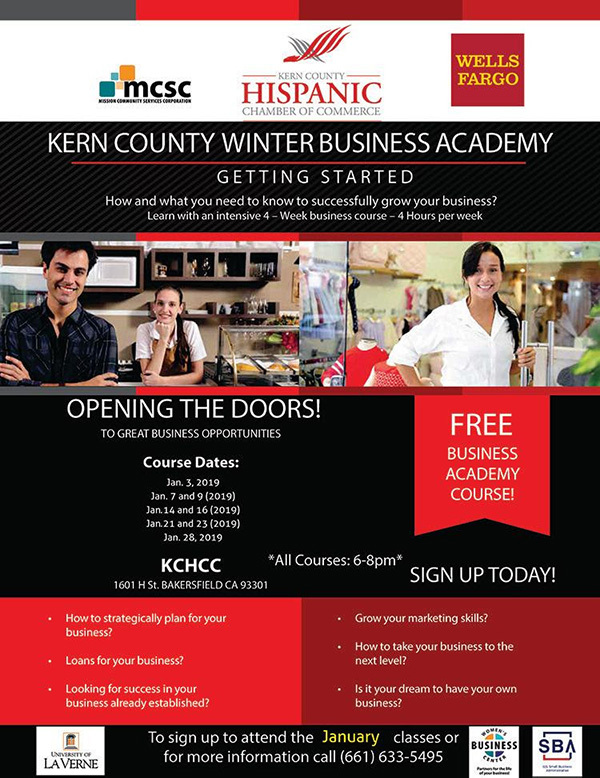 Our winter Business Academy class schedule has changed. Please make sure to review the new dates. For more information call our office at 661-633-5495.